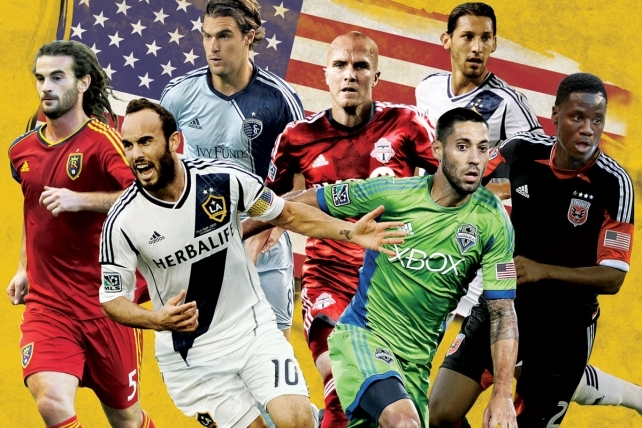 The 19th season of MLS kicks off this weekend. Sporting KC will attempt to defend their title against a serious pack of challengers. From perennial favorites like LA, Houston and Salt Lake to the upstarts in Portland and the dark horse in Toronto. Can SKC Do It Again? Sporting KC may have the most dynamic roster in all of MLS. From Graham Zusi and Benny Feilhaber in the middle, Matt Besler and Aurelien Colin in the back and multiple attacking options up top. Most of the team remains intact minus Keeper Jimmy Nielsen. It’s up to manager Peter Vermes to keep this team motivated. They way he screams, it shouldn’t be a problem. The New York Red Bulls finally won a trophy of some kind last season when they walked away with the Supporters Shield. With that monkey off their back it’s time for them to take home and MLS Cup or a US Open Cup. Like usual, there have been front office and player changes this off season. However, Thierry Henry and Tim Cahill still anchor the Red Bull attack and that means that Jonny Steele and Jamison Olave should get plenty of chances like they did last season. New York finally found a goalkeeper they can rely on in Luis Robles. If he has a season similar to last year then he could be looking at an All-Star spot. One interesting addition is Bobby Convey. He can do everything when on and healthy. If he can find a role then his service could lead to even more goals. Sigi Schmidt is in the last year of his contract. They previous times this has happened to him he has won an MLS Cup. First in LA then in Columbus. Seattle needs more playoff success but what they really need is an MLS Cup Final appearance. Seattle cleaned house to an extent but they still have Clint Dempsey, Osvaldo Alonso, and Brad Evans. The added Chad Barrett and Kenny Cooper up top and brought in Chad Marshall to provide leadership and stability in the back. The have all the ingredients to win the cup now they just have to prove it. If you’re an MLS fan you may have noticed that Toronto FC made some big money moves this offseason. Enter US National Team Captain Michael Bradley, England National Team striker Jermain DaFoe, Brazilian striker Gilberto and multi-MLS MVP Dewayne De Rosario. One of the bigger additions might very well be defender Justin Morrow. He’s young but with a lot of MLS experience. Look for him to shut down any counterattacks that come his way. Let’s face facts, TFC has to get into the playoffs…and win. Missing the playoffs would be a disaster. Getting in and not winning a game would hurt but it’s a foundation to build on. The Portland Timbers last season were something that their avid fan support could be proud off. The won the western conference and went deep into the MLS Cup playoffs knocking off arch rival Seattle in the process. Now they have to do better. Portland is loaded with attacking options but everything hinges on Diego Valeri and WIll Johnson. If Valeri can stay on the pitch then watch out. If he can’t and Johnson does not repeat the MVP caliber performance that he had last year then it could be a long season in the Rose City. Portland has proven that they can withstand key injuries but with manager Caleb Porter’s style of play, injuries are always a concern. DC United had, with all due respect, a horrendous year last year. Manager Ben Olsen is back for another go round and has been given a great tool to succeed with in US National Team forward Eddie Johnson. Johnson needs to be a rock start. DC has hedged their bets though with the addition of striker Fabian Espindola. Add these two with new addition Davy Arnaud and Sean Franklin and they should make a nice nucleus when you add in existing players Chris Pontius and Nick DeLeon. Now all that’s left is a winning season and a soccer specific stadium to get DC back amongst the elite teams in MLS. There are a lot of interesting questions to be answered over the next several months and that’s if there are no big player movements. So let’s get this started already!